I'd be excited if I didn't prefer Resident Evil 2 over the original. I don't hate the first or anything. But I preferred the story with Claire Redfield in Raccoon City over STARS trapped in basically a haunted mansion. In fact Resident Evil 2 is probably my most favorite zombie game. And it wasn't just because a city was facing a zombie apocalypse. But like other pre RE4 games it gave a sense of claustrophobia with the added fear of not knowing what was in front of you. And to top that all off (minus giant robot) Claire Redfield's & Sherry Birkin's story kind of reminds of the movie Alien. Although those 2 basically still had their own stories with Claire Redfield looking for her brother & Sherry Birkin losing her parents. 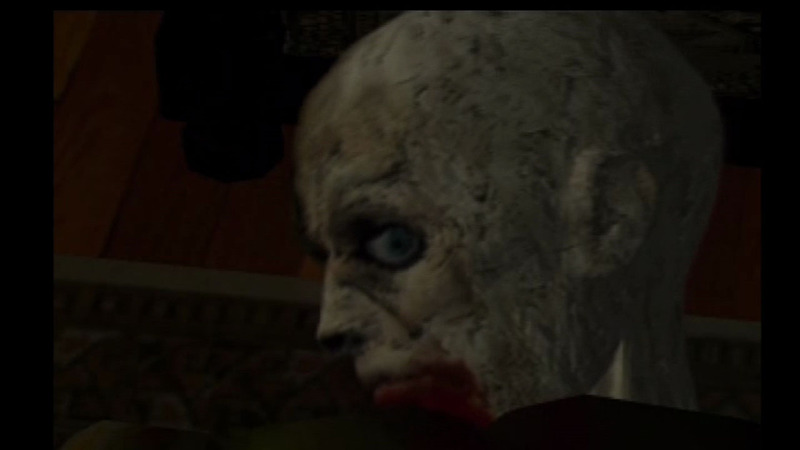 I played the hell out of Resident Evil 1 and 2, and 2 was definitely my favorite also. RE2 was a much better game IMO. This HD remake will be good but I don't think I'll buy it because I already know the entire game in and out. Maybe they'll release DLC for it to change outfits or something, either way I look forward to this being on PS+ at some point. I tried playing as Chris in RE1 and I quit playing as him rather quickly.. I think he had a stronger melee attack, but with Jill's 2 extra inventory spaces I always chose to play as Jill. I had to play the game on easy tho.. I never felt comfortable enough with the controls to play on normal considering how often you had to push a zombie and run on any other difficulty. I enjoyed having the excessive ammo in easy to blast every zombie in the game. I did have a friend that beat it on hard. He was the kind of person that memorized games so it could be accomplished. Watching him play it was ridiculous. He also played mega man to such extremes that he could beat those on any difficulty without dieing most of the time. A bit too OCD for me. There was no real reason to be Chris. Not only did Jill have 2 more inventory slots. She has to shortcut to getting the shotgun, along with the Plant 42 in which Barry bailed you out each time. I liked the Gamecube remake adding in Barry's conflict with Wesker in more detail. The way he dies if he dies makes more since when its in your hand rather than taking a wrong path. It still baffles me how Everyone but Barry has received more roles in later sequels. Give me Resident Evil: The Barry Burton Files and I'm there. I loved this intro, outside of the fact that the US version was censored to cut out Chris' smoking during his intro.